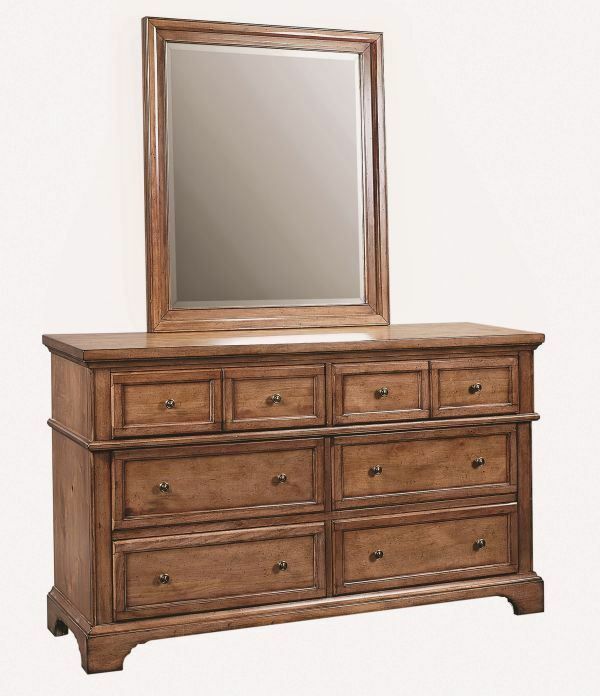 This Alder Creek King Storage Bedroom Set will bring a transitional style into any bedroom. 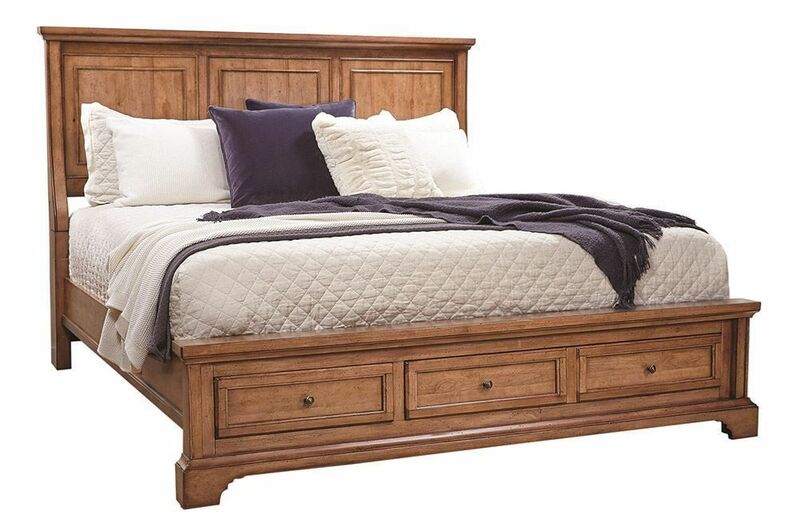 With a medium wood finish, this contemporary bedroom group features a low profile sleigh bed, felt-lined storage drawers with English dovetail construction, AC/HDMI outlets, lamp-assist touch lighting on the headboard, drawer fronts, and bracket feet. This Alder Creek King Storage Bedroom Set not only provides amazing tech but also turns your room into a restful retreat that you can enjoy night after night. Set includes headboard, storage footboard, rails, dresser, mirror, and nightstand. Bring this bedroom group home today and get ready to sleep in modern, warm-hearted style. This Alder Creek King Storage Bedroom Set will bring a contemporary style into any bedroom.